On episode 55 of freelance jumpstart TV, I did an episode called Work on Your Business. The focus was to take a step back and analyze my business with extreme scrutiny and make improvements. Wrote over 60,000 words through weekly blogging. 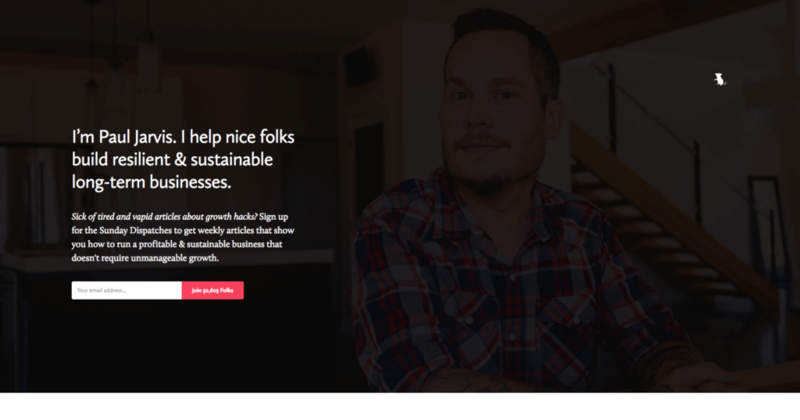 My business goals have changed, and my website no longer meets those goals. Whenever something you’re doing in your business no longer accomplishes your goals it’s time to make a change. As I move toward redesigning my website, I want to give you an inside look at my mentality so you can use this to apply it to your website. The first step of a redesign is to write everything down. No idea is stupid, no dream unreachable. Write down whatever comes to mind there are no limits. Writing down your thoughts will be crucial to the redesign process. In my case, I used Google Docs, and whatever colors, inspiration, strategy, upgrades, fonts and ideas all ended up in the document. You can use a tool like Google analytics to see what your most popular pages are. Google analytics is a free tool offered by Google that allows you to observe trends on your website. You can see how many people came to your site, how long they were there, and where how they got to your site. You can also get more advanced and track every action people take on your site. I looked at from the time I started my podcast (Oct 1, 2015) to now and wanted to examine the top 10 pages. YouTube is the second most popular way people find my brand. My about page, shows people want to know who’s behind the content. The contact page is my goal; I want people to contact me for work, is this is the goal of my site then I need to have a clear funnel from when a user interacts with a piece of contact all the way to contact me. The 10th spot was a review I wrote for a conference a relationship I built over time. 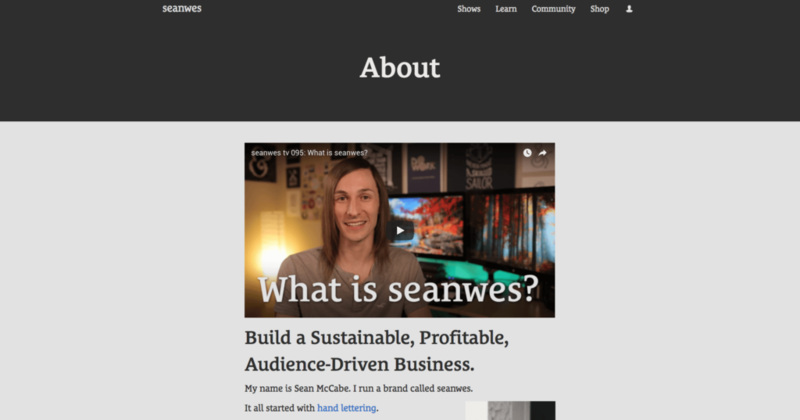 My about page is focused too much on me; this is highlighted based on how much I use the letter “I.” You can compare my page against Sean McCabe’s page found here https://seanwes.com/about/. Sean focuses on telling a story that keeps the reader’s attention and includes videos to complement the story and interlinks to content that expounds upon each topic. If you’re wondering how to create an about page that shows your expertise but still introduce his people to who you are. Tell a story about what made you learn the skills you’ve built a business around and how you want to use those skills to help someone reach goals. 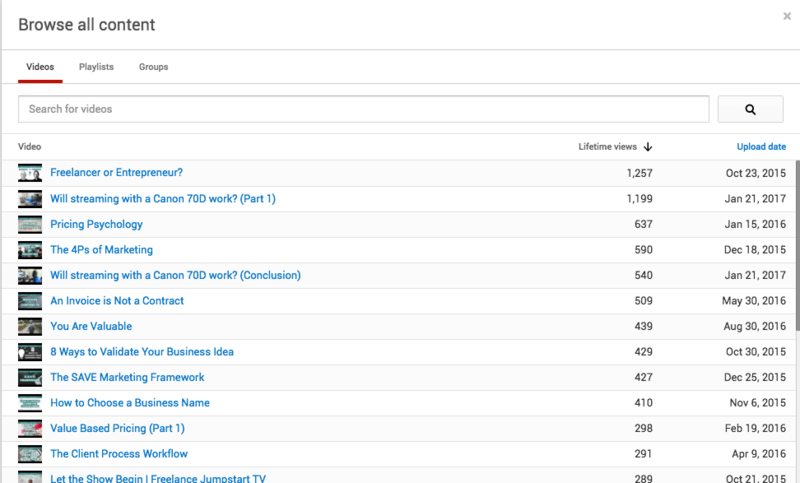 Besides my homepage, YouTube was the top result on how people are introduced to my brand. The next natural step involves looking through YouTube and finding similar topics that people are consuming. This can point me in the direction of what type of topics are working, and I may need to create more content around. You can do the same. If you’re putting out content on a regular basis, you can use tools such as YouTube analytics or Google analytics and begin to observe what content is resonating with your audience. After you find out the most popular type the type of content, start creating categories based on common themes you observe. Once all these topics are in certain categories, then you’ll be able to find what types of categories resonate with your audience the most. This step is important because in the future the categories may help to inform the type of services or products you offer your potential customer base. There is a huge difference between copying and inspiration. To copy and someone else is sloppy, lazy and unethical if you are using what you are doing as a means of profit. However, you can use other people’s work as a way to gain inspiration and take individual elements from others and the concept to create your own. For example, when it comes to looking at what other people are doing on their websites think about the methodologies they are using not necessarily how the design looks. 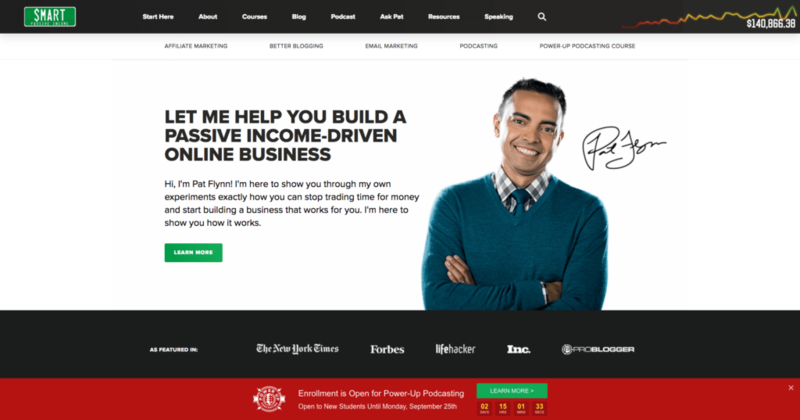 Pat Flynn is known for his podcast smart passive income and his website expanded upon all of the topics that he discussed in this podcast. Though I do like this layout, the main thing that stands out to me about this site is the information architecture. Pat offers courses, products a blog, multiple podcasts, and resources. The best thing that he has done is organize all of the content into specific categories so when people need to learn more about one particular area they can go to a section of his site that’s tailored to that subject. 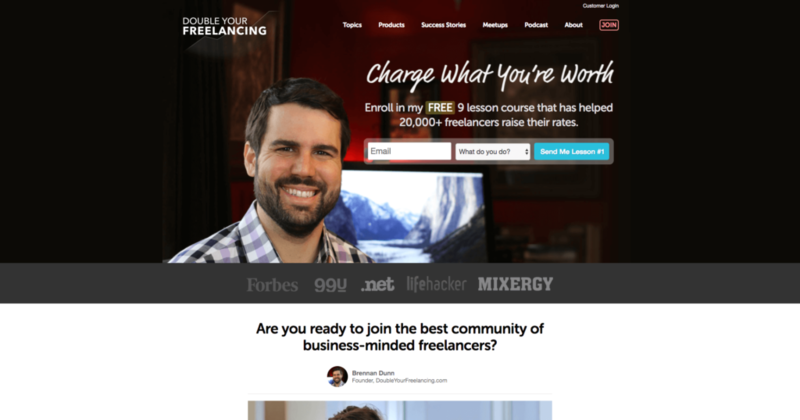 Brennan Dunn is a consultant who has gained a massive amount of success by helping other Freelancers learn how to double their freelancing rates. Brennan has gone through a great deal to get to the point of serving up tailored content based on personalization. In other words, his goal is to get your email address and then show you content that is specific that is related to your interests. Paul Jarvis is somewhat a generation X freelancer with a millennial mentality. Paul Jarvis is a web designer as well as an author. 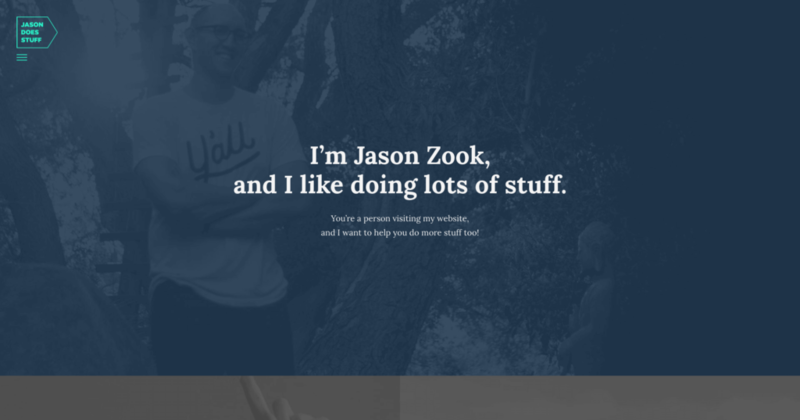 Though he can make a site with a lot of bells and whistles, Paul chooses to be a minimalist. He’s removed everything except for what is important and in his case that is his words. This incentivizes the visitor to READ. There are two simple goals: (1) getting your email address and (2) his writing. He seeks to build a relationship with the reader and after trust has been established only then does he introduce his products. Whenever you read an article, you can see tons of white space on the page and only the words. Jason has done a lot of unconventional things to make money through the internet, such as selling his last name and releasing a book in which someone sponsored every page. Takeaway: Showing his past expertise, with a focus on the future. Jason does a great job of being playful on the site but whenever you read a certain section it all ties into a larger Story theme. Many times we want to serve up content and just say here it is but Jason site does a good job of breaking each page down as like it’s a chapter of a larger story. One thing that tends to trip up designers or cause them to procrastinate is not having a blueprint or a layout. In the early concept phase, you will want to sketch things out to see if the structure of the page help you accomplish the goals you have set up for each page. This doesn’t have to be anything fancy. In a video I made called how to design a landing page I walk through the process of how I created a page from scratch starting with writing out the content, sketching an illustration on a piece of paper, Two designing in Photoshop. Homepage goal is to introduce people to who I am what I do how I can help them and show them the different categories available in which I can help. For my about page I wanted to introduce myself and tell a story about how I can relate to what it is the visitor needs and my unique experience ties into the ways I can help them. For my blog, it is all a matter of organization. Whenever you’re producing content, and you don’t have common themes it’s hard for people to understand what articles are relevant to their needs. It’s better to do this sooner than later because when you get to the point of when you have a hundred plus articles people will be overwhelmed by the amount of information, there is available and categorizing it allows them to at least have a starting place to begin looking for the content. At the moment my contact page is a general form, and I give people options on how they can reach out to me. In all honesty, the form needs to adapt based on whatever option the user chooses. For example, if someone wants to interview me on a podcast it should be the same contact form and once they select that option from a drop-down the form changes to a tailored form for podcast interviews. Sure, I can make a page that specific the car to podcast interviews and add a form to that page however that’s another page in which the user someone has to navigate. The next step is to translate all of this feedback/data/ideas into a design tool like Sketch or Photoshop, so I can see how will they look. Since I took the time to sketch things out on paper I have a starting point from when I open the program. Remember no design is truly ever complete. You’re always redesigning, redefining, and realigning a website towards your goals. And if you’re growing and business those goals will change with each season.